Meeting in the capital city of Tokyo on Monday 10th April, the leading sports authorities in Japan met to sign the Brighton and Helsinki Declaration. 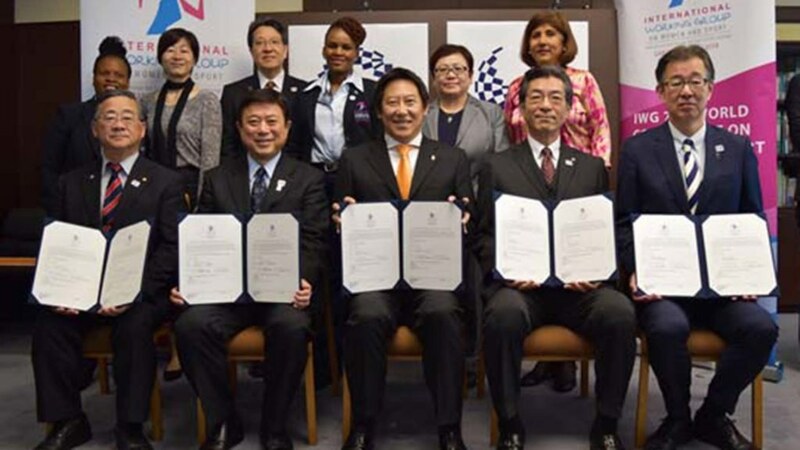 A legacy of the International Women and Sport movement, supported by the International Working Group for Women in Sport represented by Botswana’s Ruth Maphorisa, the Co-Chair; the agreement was signed by the Japan Sports Agency. The signing followed the Women Sport Leadership Conference 2017 held the previous day at the Juntendo University; a gathering organised by the Japanese Center for Research on Women in Sport and co-hosted by the Japanese Association for Women in Sport. 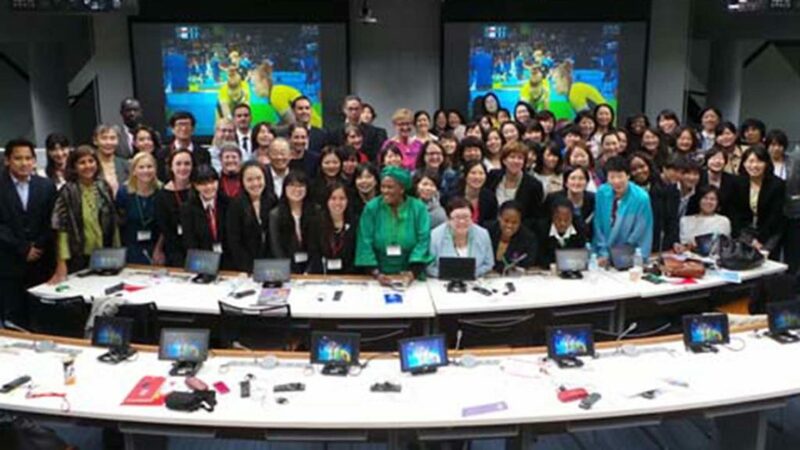 Aimed at promoting discussion and debate on how Japan can ensure positive legacies on women and sport issues, as host nation of the Tokyo 2020 Olympic and Paralympic Games, the conference was opened by Professor Kari Fasting. She spoke on behalf of Carole Oglesby, Co-Chair of International Working Group for Women in Sport alongside Ruth Maphorisa, who was unable to attend. Notably, Kari Fasting was followed by Raijja Mattila and Ruth Maphorisa; pertinently Raijja Mattila is a former Co-Chair of International Working Group for Women in Sport. Present for the occasion was Tetsuya Kimura, Director-General, Japan Sports Agency, who explained that Japan is aiming to create “sustainable social change” through the opportunity provided by Tokyo 2020. Mr. Kimura explained that the “Kihon Keikaku” (Basic Sport Plan) had been revised in order to accommodate several future actions to reduce gender inequality in Japanese sport. Additionally, two workshops focusing on international and national perspectives were staged, the focus being on 2020. The workshops stressed the goals set by the Japanese government and by the International Olympic Committee. The Japanese government is advocating 30 per cent women in managerial positions in government and business (Prime Minister Shinzo Abe’s Womenomics) by 2020. The International Olympic Committee has set the target of 30 per cent women in leadership positions in the Olympic movement by 2020. Clearly, a thought provoking conference, at which Professor Kaori Yamaguchi gave one of the keynote speeches, was attended by students and staff of Tsukuba University and Tsukuba International Academy for Sport.